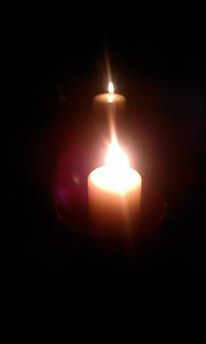 This evening (sunset) I will be lighting a candle for Ireland and it’s people as we go to the polls tomorrow to elect new Members of Dáil Éireann. I will work so that the new Teachta Dála we elect tomorrow, will work for the good of the land and the people. That they will heed the plight of those who’s lives have become more miserable over the last 5 years due to the regressive policies. I will also work that all those who can vote tomorrow take the time to do so, that we have close to or more then 75% turn out. We are an old country but a young sovereign republic, we are not yet 100 years old, unused to governing ourselves, but there are times despite all it’s failings I have been proud of this country of mine. I hope that the will and compassion of the People which was felt in the Yes Equality referendum will once again lift us all up tomorrow.